Like so many people, I was of course familiar with the great Jazz trumpeter Miles Davis. Being honest though, I only like certain types of jazz, but that said, Miles had a talent and was worthy of his status in the music world. It was only by chance, however, that I happened to switch on my radio and catch this programme because the announcer referred to the fact not many people knew that Miles was also an artist. ‘Music has no friends and Family’ was one of his quotes and a friend translated that as if being a priest married to The Holy Ghost. However, Miles apparently did compare music as speaking to art as art spoke to music. The story is well worth listening to, especially as to why Miles began his interest in art. Scanning through the art it does have the feel of his take on jazz. So if one is ‘in tune’ with the jazz of Miles Davis then it is easy to see how it replicates into his art, albeit that the art was more limited to embellishments than a piece of music which can be modified within each performance. 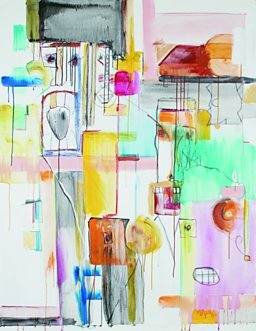 His painting entitled ‘sugar rush‘ infers as much and is clear and bright but some of his other art could infer darkness. 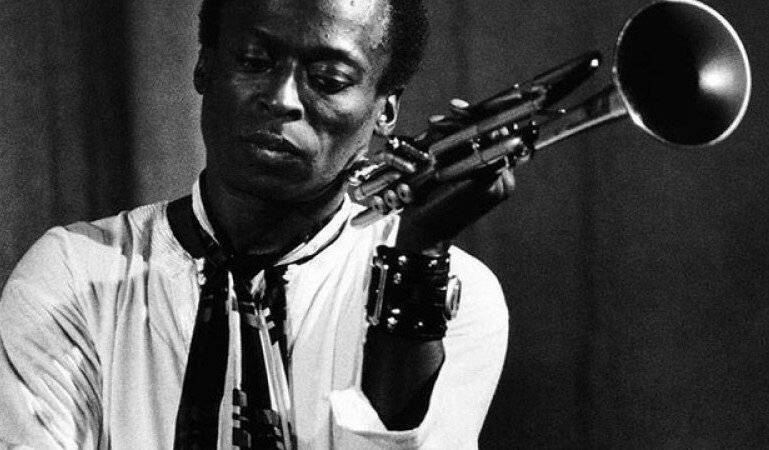 Take a look at the art of Miles Davis and enjoy this intriguing documentary.